Sunday's Toronto FC vs Houston Dynamo match at newly renovated BMO Field didn't bring many eyes to the TV. 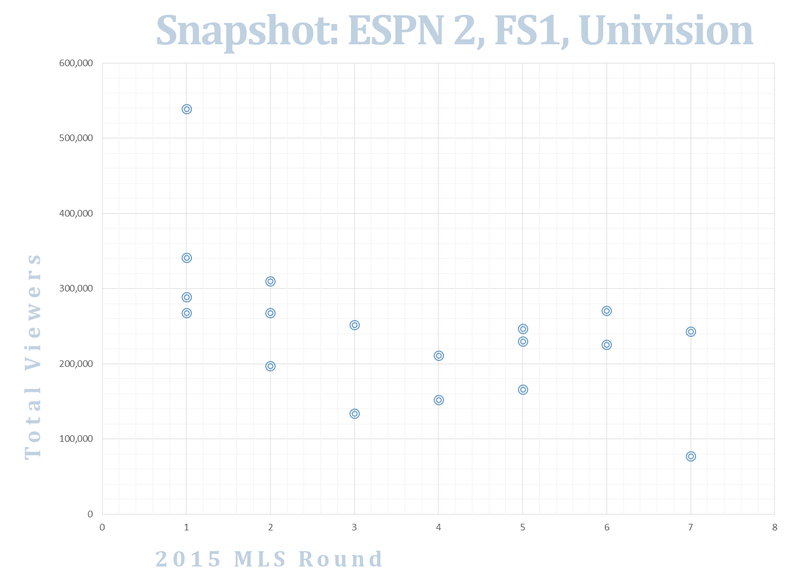 The 177k that watched the match up was one of the lowest rated ESPN2 MLS games of the year for the network. 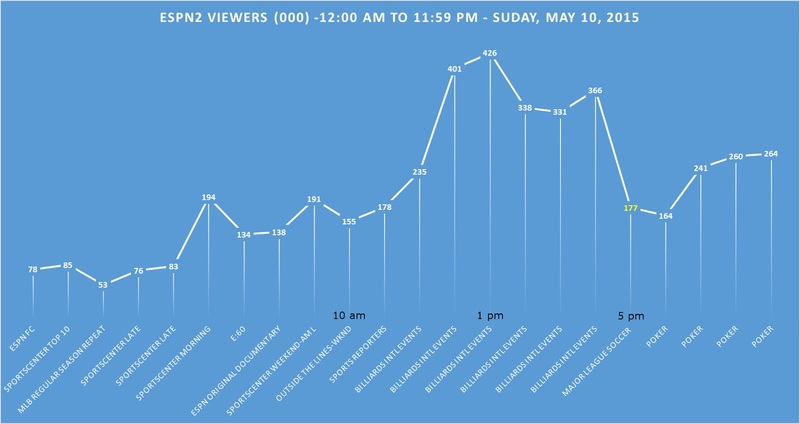 The chart above maps out the entire day of Sunday, May 10th, 2015. Both the lead in programming (Billiards) and post programming (Poker) beat out the game. It's a similar story to other Sundays this year. 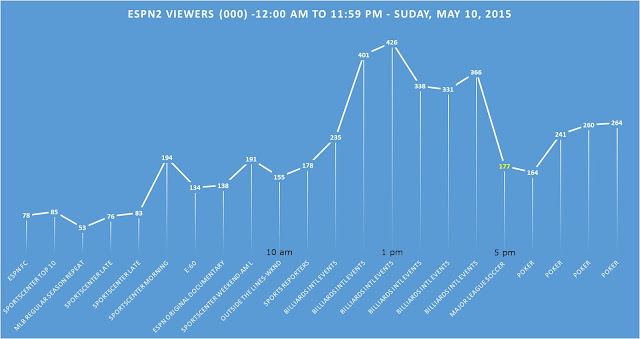 I'm trying to figure why it looks like watchers of the channel actually tune out for MLS before tuning back in for different programming. There are some out there that say other events like NHL and NBA playoffs pull away viewers but if that's the case, wouldn't they hurt Billiards and Poker as well? 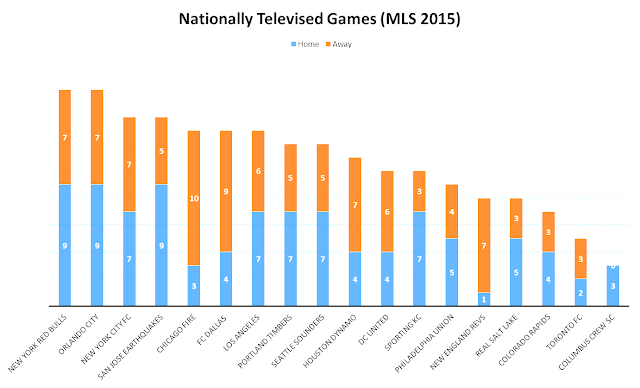 Maybe it's that MLS has chosen the wrong teams? We are still early days for MLS on ESPN on Sunday's but can't help but think that the league marketers are happy with this one. Games on both ESPN2 and FS1 are averaging around 230k viewers a game on Sunday afternoon and evening. Sunday was also Major League Soccer's premier event; The "NY Derby" (or Hudson River Derby or my personal favorite El Plastico) over on FS1 averaged 233k. A disappointing number for league executives considering the hype and market size, I'm sure. "Monster Jam" (370k) and the USWNT vs Ireland (319k) were FS1's highest rated shows on Sunday.